The Cornilleau 740 Pro Longlife table tennis table is suitable for sport clubs and schools featuring a resin laminate 9mm thick playing surface resistant to bat impacts and scratching due to a gorgeous mat top. The table is designed for ultimate sturdiness with scratch and corrosion resistant 85mm frame, and steel legs with adjustable height blocks that ensure proper stability even when playing surface is not ideally flat. It also guarantees safety with 16-point DSI locking system and wheels featuring brakes system, plus with playback facility it can be used for one player practice. The table offers standard tennis table size, yet it can be folded to save space after finishing games, and includes retractable posts to adjust net height for optimal playing comfort. This wheelchair friendly, table has been designed full in France, and comes with impressive warranty up to 10 years for all non-wearing parts. This is a special order table and delivery can take up to 6 weeks. 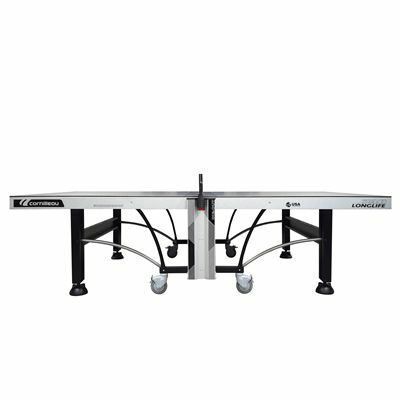 for submitting product information about Cornilleau 740 Pro Longlife Outoor Table Tennis Table We aim to answer all questions within 2-3 days. 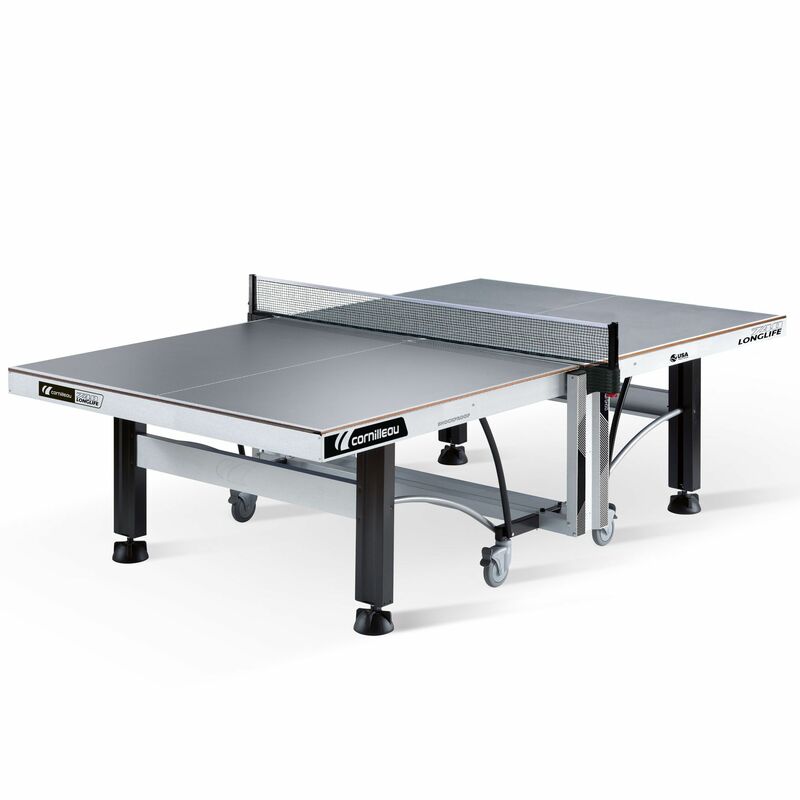 for submitting product information about Cornilleau 740 Pro Longlife Outoor Table Tennis Table. We aim to answer all questions within 2-3 days. If you provided your name and email address, we will email you as soon as the answer is published. for submitting product review about Cornilleau 740 Pro Longlife Outoor Table Tennis Table.